Here it is. 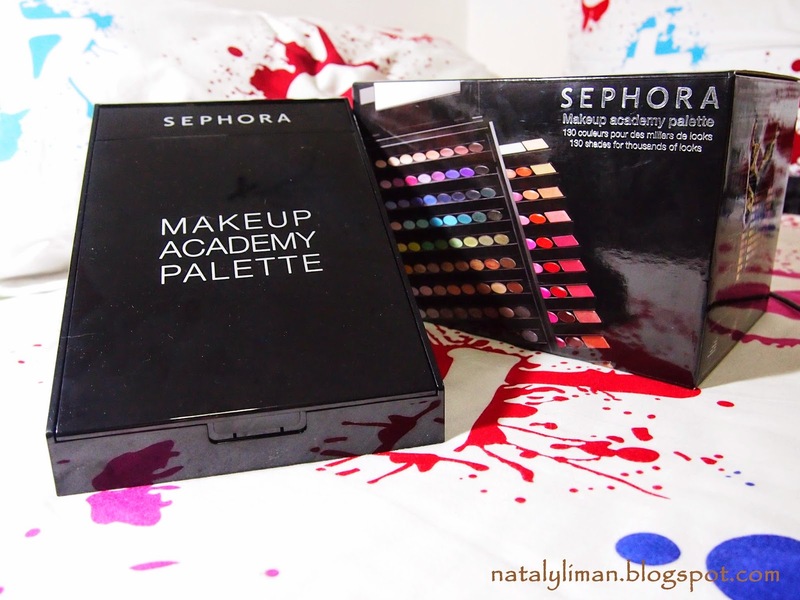 Sephora makeup academy palette. Honestly, I thought it's big, but when the palette arrived.. it wasn't that big. No problem. 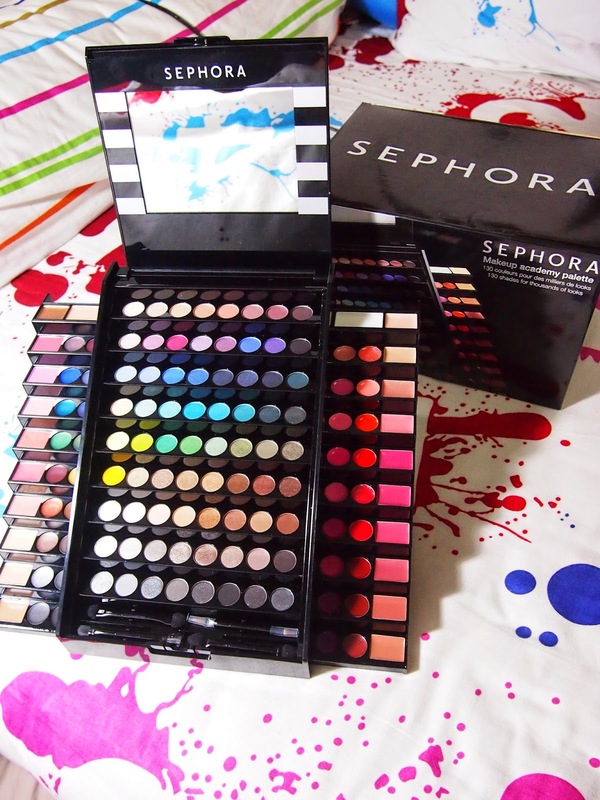 This palette come with a black box. The palette it self shape like a pyramid. I guess.. I can't say that it's triangle though. For me I like this packaging because it's unique. other palette just look like a box, or round but this palette come with a new shape. nice. This is how it looks when you open the palette. 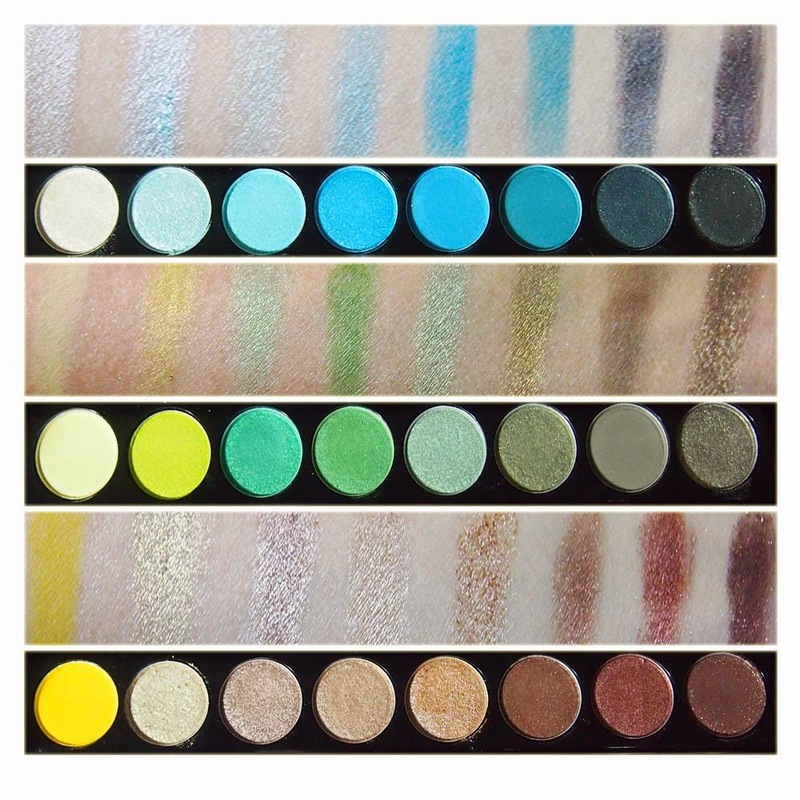 "Each eyeshadows wasn't big, but I think it's still make this palette good value." 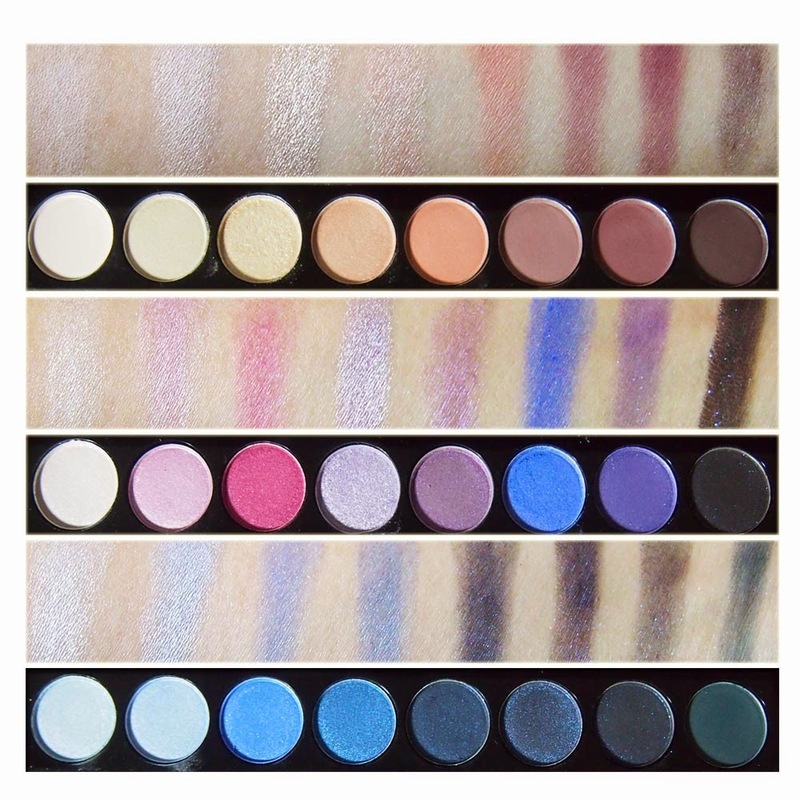 To be honest, I don't expecting much about this palette because I know, many BIG palette doesn't show good quality compare to single eyeshadows or small palette. But, I was pretty amazed with some colours, as you can see there's some colour that really-really soft and less pigmented, but some colours do so pigmented. Texture are soft, not so powdery, but still there's some powder but I can tolerate that. Blend easily, and should be much better if you use eye primer. 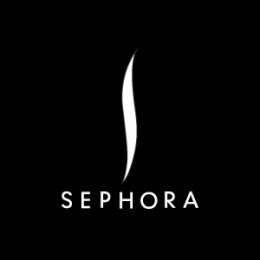 For me, I can say this palette 7 out of 10. Great value but not high grade. 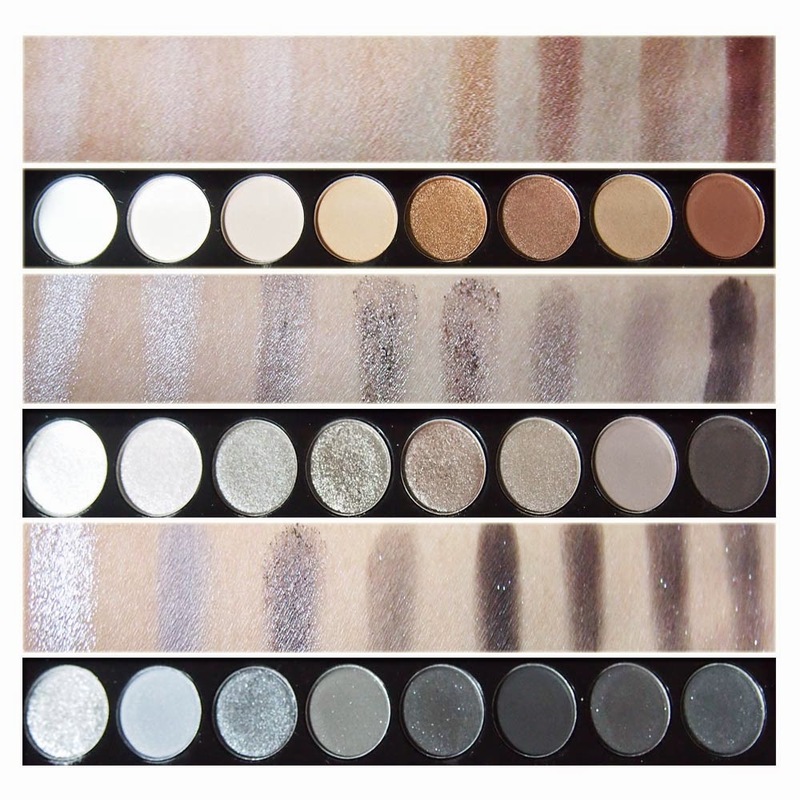 This palette best use for performing, party, and everyday makeup. Yes, I will recommend this palette to my friend. wow..this is a big palette *drooling* (^_^) will waiting for your blush & lip review..
gilaaaa mantap sekali >,< tapi pigmentnya so-so ya?